Filed under: Issues | Tagged: Pickens, plan |	Comments Off on What’s the Plan?? Smart’s rates are slightly higher because the entire twelve percent RVAT is passed on to customers. Globe however absobs the extra two percent. 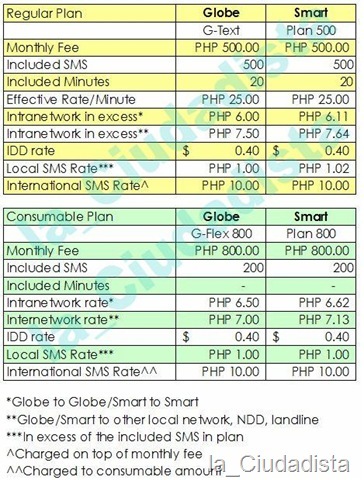 For more info please visiti the websites of Globe and Smart.